Following Sennheiser’s AMBEO 3D audio headset release comes the promise of spatial 3D sound technology for home theaters via AMBEO Soundbar. 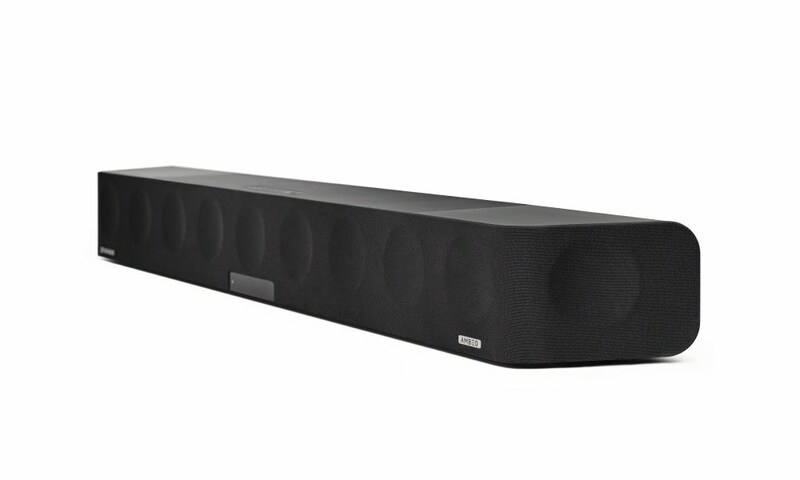 However, only for those that can afford its $2499 price tag — making it one of the most expensive sound bars on the market for 2019. The AMBEO Soundbar claims to deliver 3D sound that blurs the line between playback and reality from a single all-in-one device. It claims to place the listener inside the sound experience with incredible realism. Via room calibration, the AMBEO Soundbar optimizes the sound for the individual room and preferred seating position. An included external microphone automatically adapts the acoustics to fit the individual environment. The AMBEO Soundbar is compatible with Dolby Atmos, MPEG-H and DTS:X. Thanks to its Upmix Technology, it can also recreate stereo and 5.1 content in immersive 3D audio. The soundbar features five different presets (movie, music, sports, news and neutral) tailored to a range of scenarios and content types that precisely adjust not only the frequencies but also the 3D sound characteristics. The company claims every interaction with the soundbar to be effortless and intuitive. Sennheiser’s Smart Control App for iOS and Android allows users to adjust acoustic settings via smart devices, including setting presets, personalizing the sound with the equalizer and selecting from three different AMBEO modes (light, standard and boost). Upcoming new features will be added to the soundbar via WiFi and app updates. The Sennheiser AMBEO Soundbar will be available from May 2019 for $2,499 (MSRP).